Strides Pharma Global Pte. Ltd (SPG) has been awarded ‘International Headquarters Status’ by the Singapore Economic Development Board (EDB). SPG is engaged in manufacturing, and distribution of pharmaceuticals in addition to providing support services for the group entities globally. 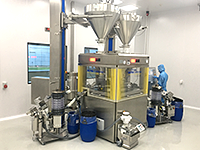 Its state-of- the-art manufacturing facility caters to the growing demand of regulated markets of USA, UK, Australia, and Europe. 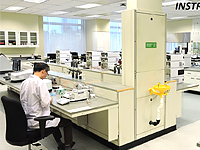 It has an annual capacity of 1.4 billion tablets and capsules in a built-up area of 273,683 square feet.The facility is approved by the USFDA, Health Science Authority (HSA) Singapore and Australian Regulatory, Therapeutic Goods Administration (TGA).